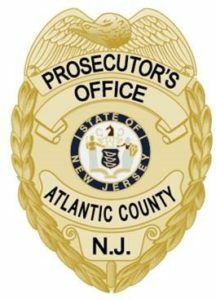 MAYS LANDING — In Atlantic County, there is no such thing as a cold case because the Atlantic County Prosecutor’s Office investigates every unsolved homicide, Prosecutor Damon Tyner said in a press release Thursday. One such case involves the discovery 15 years ago of a baby washed up on Ventnor’s beach. 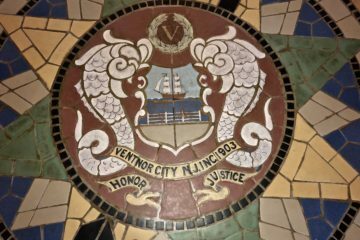 On Jan. 17, 2004, the body of a baby girl washed up on the Ventnor Beach at Suffolk Avenue. A passer-by dragged the yellow laundry bag to the boardwalk area, opened it and found a sealed, black, plastic bag and then found it contained another bag with the body of a newborn female. The newborn’s placenta and umbilical cord was still attached. Two other bags were also found in close proximity to the body, which may have been used to weigh the laundry bag down in a failed attempt to sink the body, Tyner said. The discovery prompted then local resident Susan Decoteau-Ferrier to form the Baby Blue Foundation after her husband Bill made the discovery. Funds raised were used to give the baby a property burial. The foundation also made an effort to reduce newborn infant fatalities and provide a safe haven for newborns dropped off without question and later adopted. The foundation disbanded a few years ago after the Ferriers moved to Delaware. “This case is solvable for a variety of reasons. We are optimistic that we will find the persons responsible for such a callous, irresponsible act towards a newborn child,” Tyner said.